Observation - Jonathan - Dot Moth, caterpillar - 25th September 2008 - UK and Ireland. 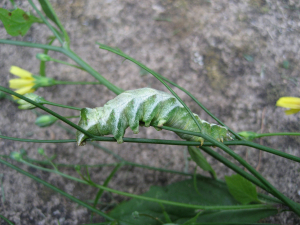 Description: Dot Moth, Melanchra persicariae caterpillar See comment from Martin who ID'd it. See comment from Martin who ID'd it.